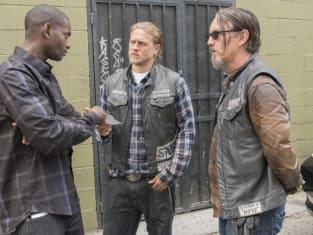 Jax and Chibs speak with Tyler in this scene from Sons of Anarchy Season 7 Episode 7. They continue to work on deals with the young leader. 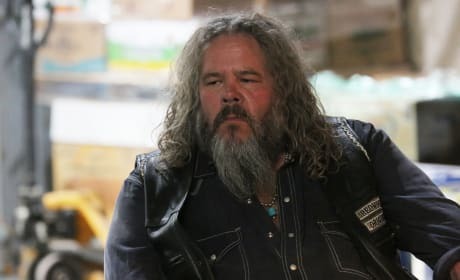 Bobby has a lot to think about on Sons of Anarchy Season 7. Is Jax leading SAMCRO down the right path? I keep asking for way more than the patch requires and never once have any of you hesitated or had a blink of doubt. Your loyalty and faith in me over the last few weeks, I can't express my gratitude. Permalink: Your loyalty and faith in me over the last few weeks, I can't express my gratitude.